Steve passed with Martin Garfoot on 22/5/14! 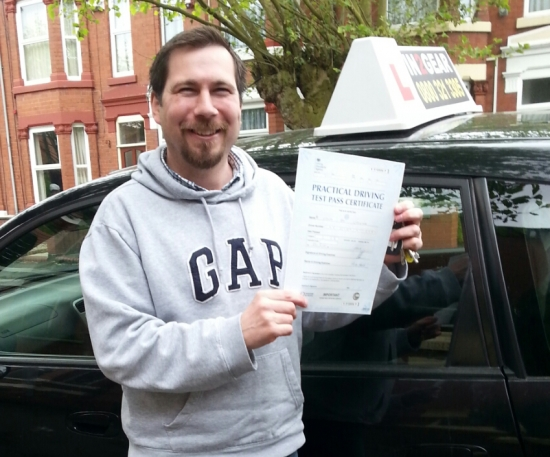 Steve has been living here for a while away from his homeland in USA and decided he needed a UK driving licence. Martin says "You did great, Steve!! A super first-time pass, very well done, I'm sure you're proud of your achievement today. Happy motoring. Best wishes, Martin!"